These days the kitchen is the most important room in the house. We’re constantly calling it our main hub, where we cook fresh meals, entertain guests, do homework, post messages and, yes, every now and then watch TV. But with the increased focus on function comes a lot of stuff that needs fixing, replacing, tweaking, cleaning and organizing. For that you’ll need to arm yourself with some kitchen knowledge so you can stay on top of what’s most important. Here are 19 projects good for every home dweller to know about. 1. Choose a new kitchen sink. 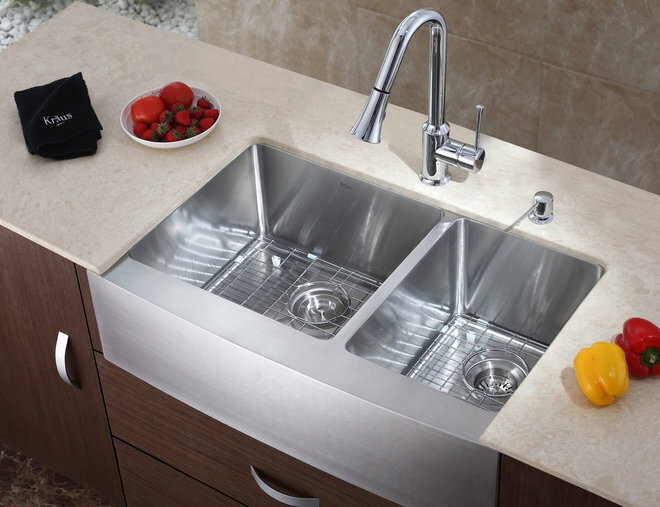 Is there anything in your kitchen that gets used as much as your sink? Doubtful. That’s why it’s important to choose the right one — size, width, style — for your space. 2. 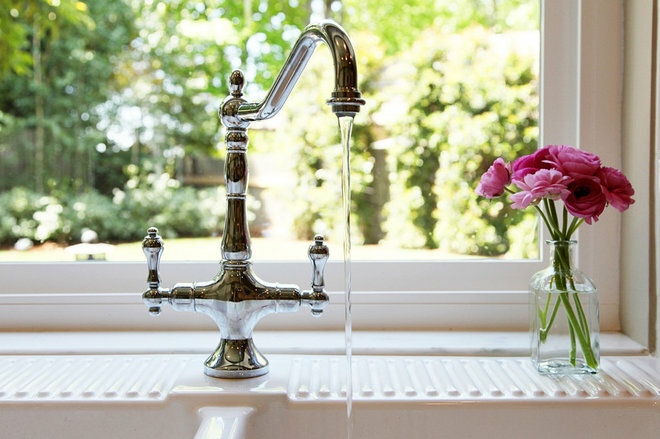 Pick a new kitchen faucet. Sure, a faucet is a must for practical tasks, but it also helps define the style of your kitchen. 3. 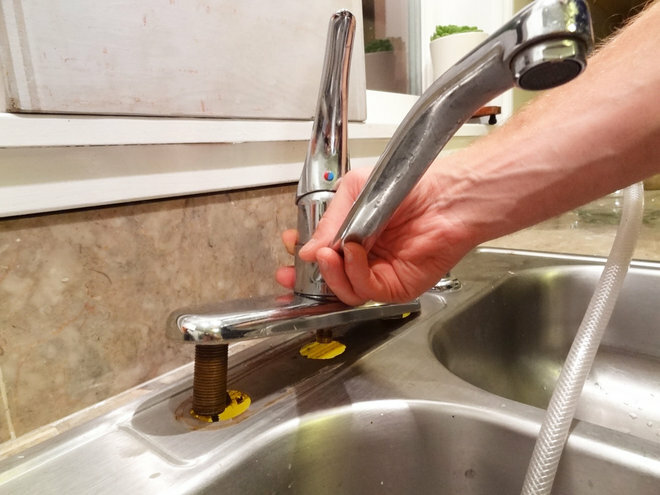 Replace your kitchen faucet. This is a project that’s straightforward enough for many homeowners or a handy friend. 4. Reface your kitchen cabinets. The costs of buying or building new cabinets can add up quick. 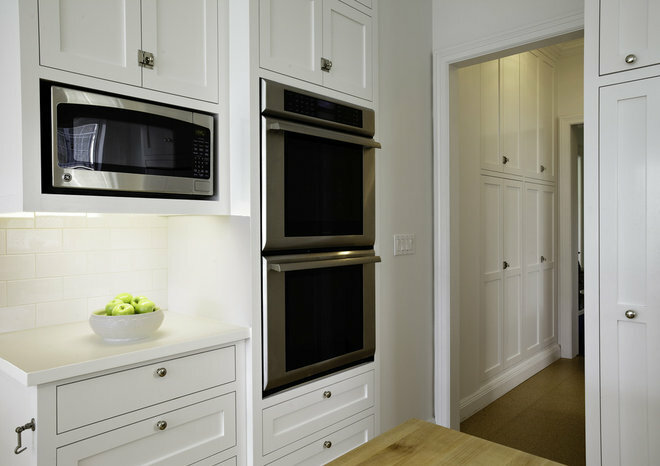 Refacing might be a more affordable option for you — and can add 10 years of life to your cabinets. 5. 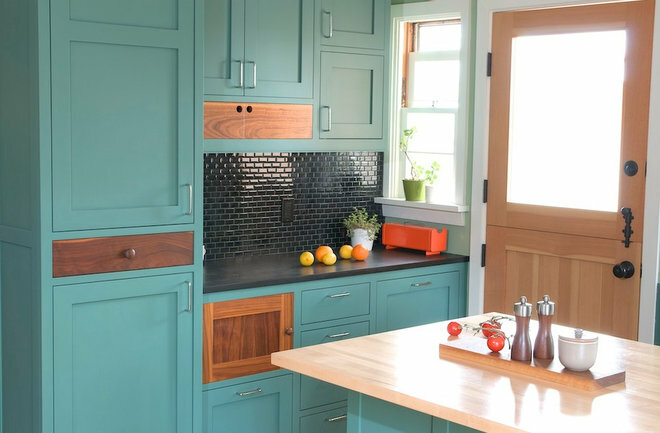 Paint your cabinets a new color. Maybe refacing isn’t what you need but a jazzy new paint color is. This is another more budget-friendly option than replacing, but the glossy finish on the woodwork may prove challenging for some DIYers. 6. 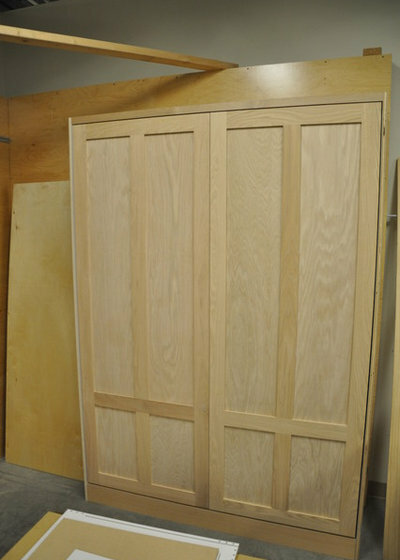 Learn how to talk about kitchen cabinet door styles. Do you know what an inset, a partial overlay and a full overlay are? Well, these little pieces of knowledge will have a huge impact on how you view, design or remodel your kitchen. 7. 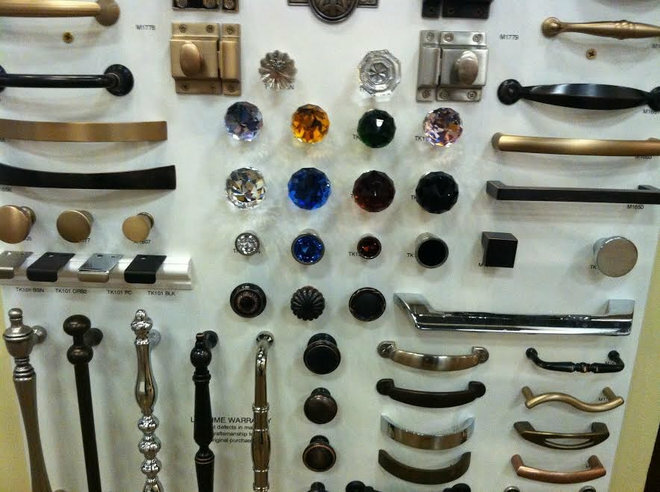 Choose new cabinet knobs and pulls. This isn’t as easy as it sounds. There are countless styles of pulls, knobs, hinges and more to make sense of. Our ideabook helps you get started. 8. Add toe-kick storage. 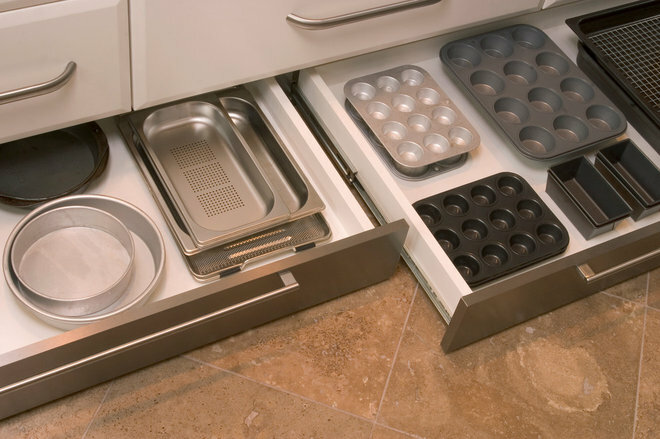 You know that unused space underneath your cabinets? It offers an amazing storage opportunity. 9. Organize everything. 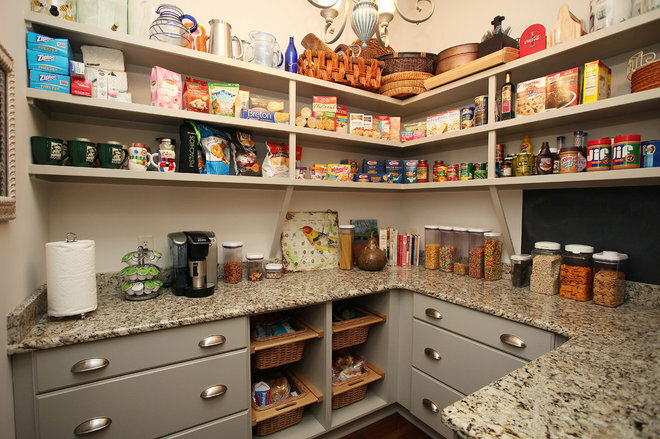 From the pantry and shelves to the cabinets and appliances, we accumulate a lot of stuff in our kitchens. What you need is a full-on game plan to get everything in order. 10. Build a mail and message center. 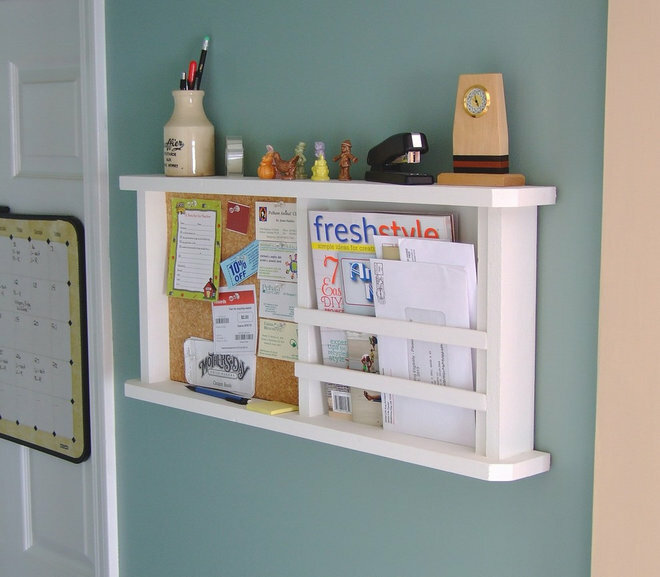 Of course, clutter comes from outside the kitchen too, in the form of mail, notes, keys and more. Take control over the mess with your own message center. Need something a bit more involved? You might want to hire a pro to tackle your message station needs. 11. Keep your white space looking white. 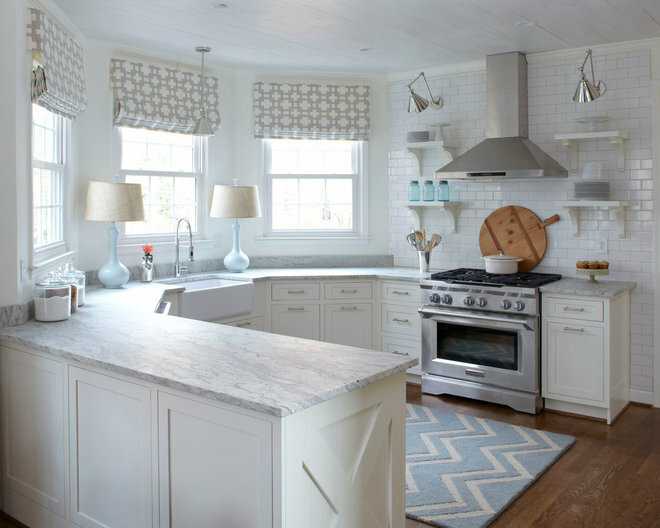 All-white kitchens are still all the rage. But also raging are homeowners trying to keep them clean. Learn a few key tips and tricks. 12. Clean tile grout. Is there anything on this planet that’s harder to clean than tile grout? Probably not. Here’s a tried and true method. Not working for you? 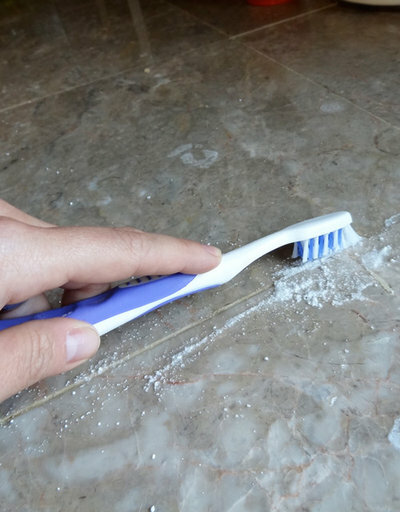 Check out the discussion on hard-to-clean things around the home for some homeowner tips on cleaning grout and more. 13. 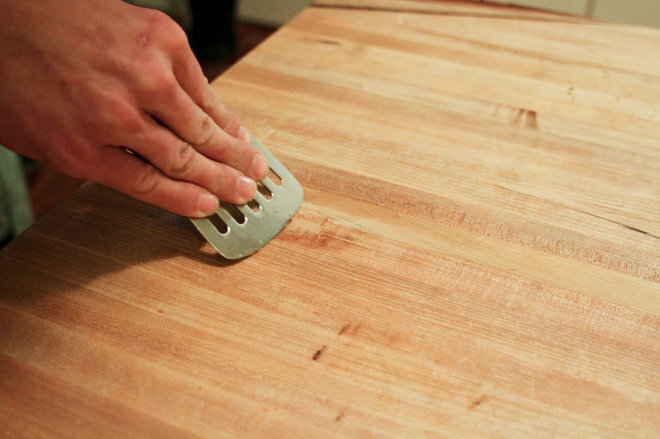 Clean your cutting board. 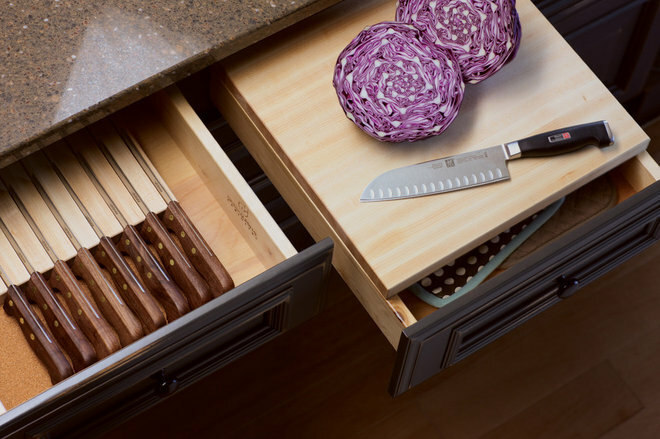 With all the action — and bacteria — your cutting boards and butcher blocks see, keeping them clean should be part of your routine. 14. Get the right tools for the job. A kitchen is useless without the right utensils and cookware to make it function. So what exactly do you need? Here’s where to start. 15. Shop for appliances wisely. No two ovens or microwaves or refrigerators are created equal. Here’s how to be a savvy shopper. 16. 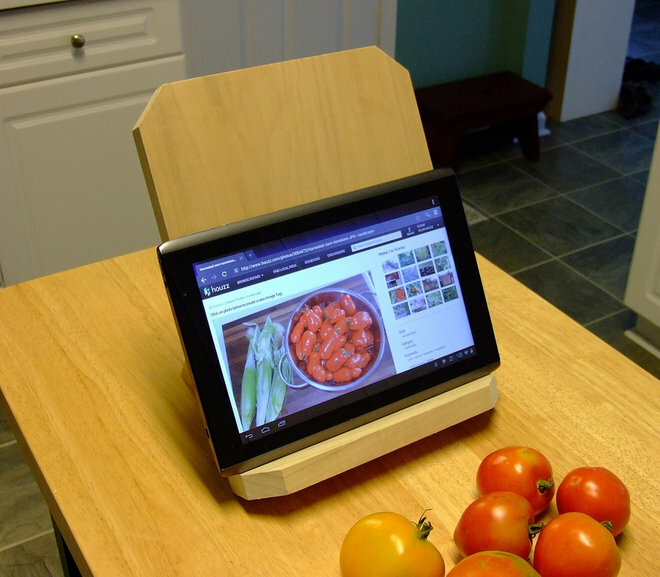 Make a stand for tablets and cookbooks. It sounds pretty basic, but this little accessory will make your life in the kitchen so much easier. 17. 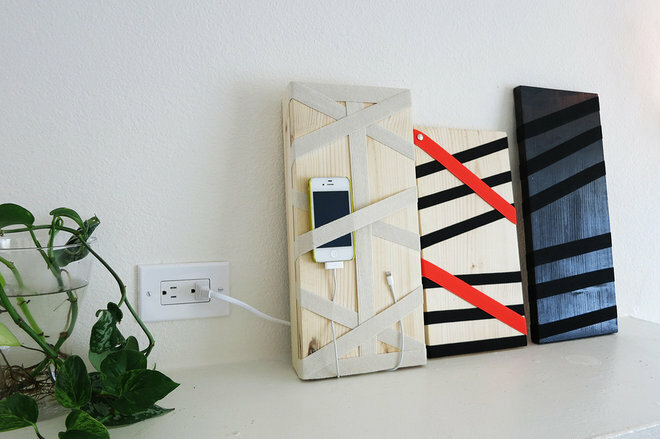 Make a funky charging station to hide all those wires. The onslaught of tech gadgets in our lives has happened much too quickly for our kitchens to keep up with, leaving us with vital counter space strewn with wires and devices. Here’s one creative way to reel them all in. 18. Install a kitchen backsplash. A new kitchen backsplash can dramatically change the way your kitchen looks and feels. The great thing is that, if you’re choosing tile, it’s a project you might be able to do yourself. Not up for doing it yourself? 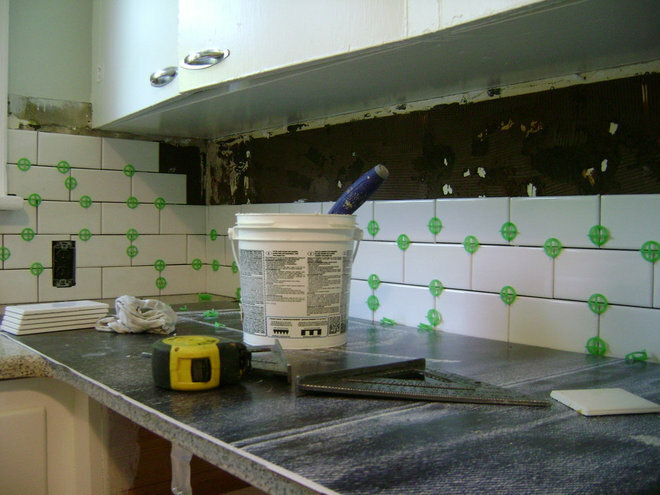 Then you should know how to hire and work with a pro to change your backsplash. 19. Add storage to your backsplash for hanging pots, pans and utensils. 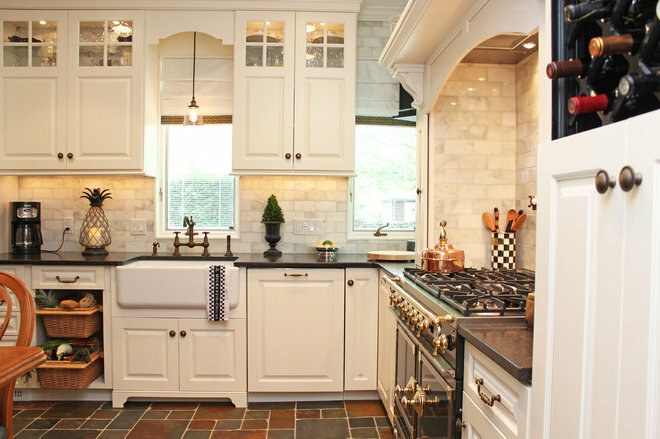 Already got a backsplash but want to make better use of it? 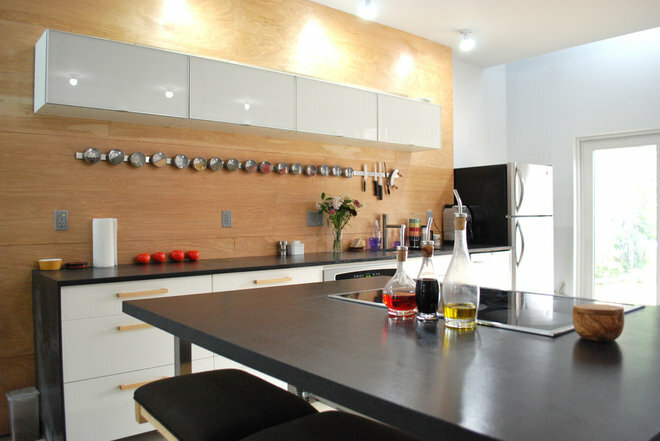 Installing systems for hanging utensils and pans is a great way to maximize that wall.